The duration of the phenomenon was approximately 20 minutes. 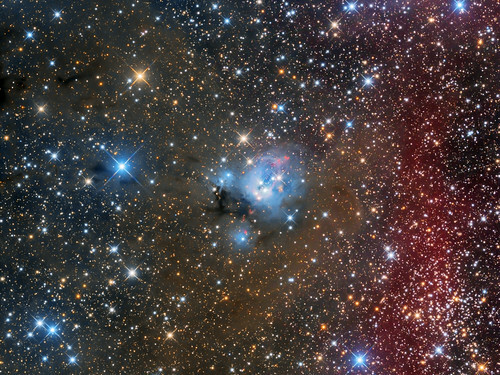 A two year project of Messier 78. Super Moon Blue Moon total lunar eclipse of Jan, 31, 2018. The Moon set only 16 minutes after it first touched the umbra as seen from Smith College, Northampton, MA. Fifteen Smithies braved the cold that morning to watch the spectacle. 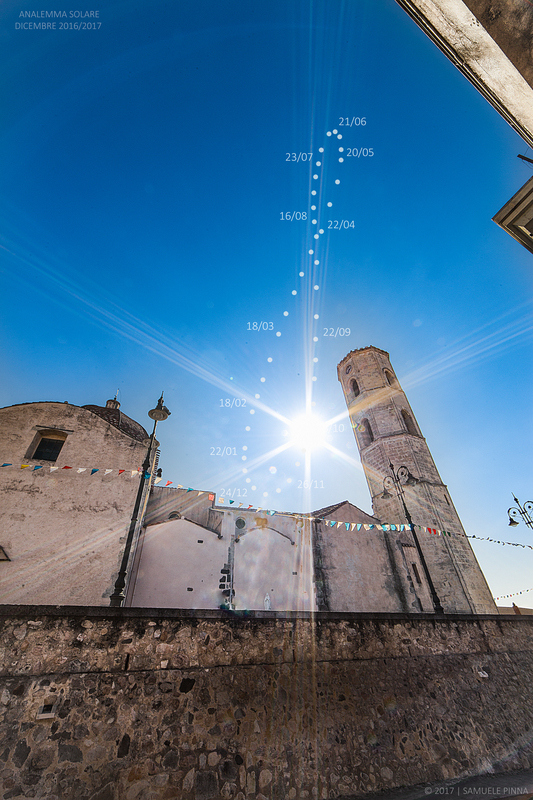 Description: (Serramanna - December 2016 - December 2017) - In astronomy, an analemma is a diagram showing the variation of the position of the Sun in the sky over the course of a year, as viewed at a fixed time of day and from a fixed location on the Earth. It is possible to photograph the analemma by keeping a camera at a fixed location and orientation and taking multiple exposures throughout the year, always at the same clock time. 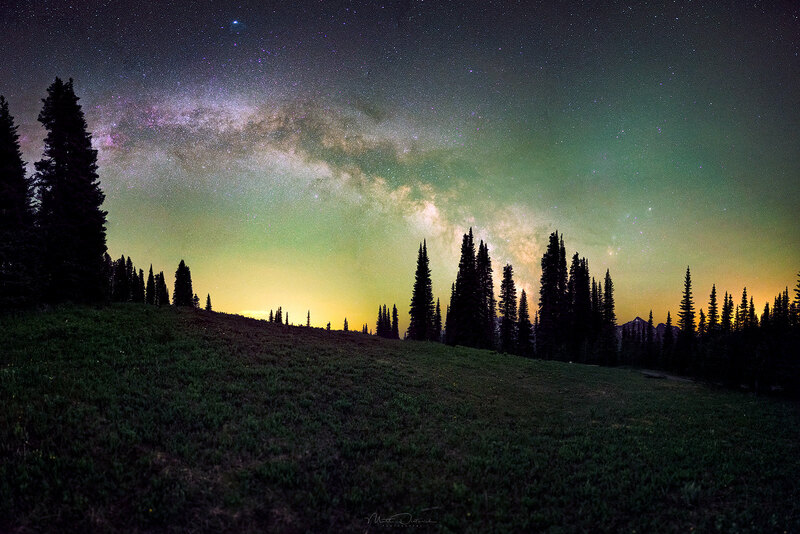 All the picture taken with Canon 6D + Samyang 14mm + Astrosolar filter. 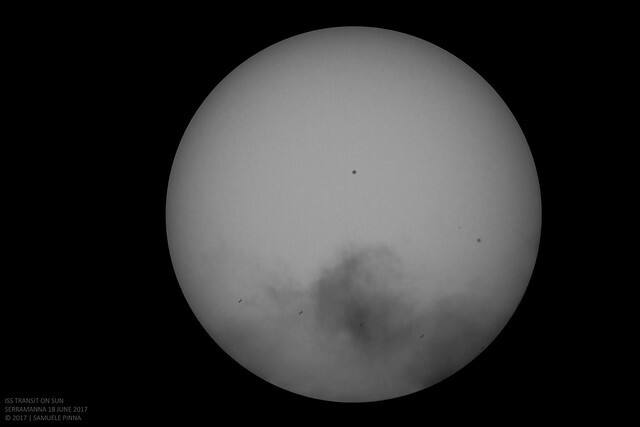 Moreover two groups of sunspots are present. Description: (Serramanna) ISS (International Space Station) transit across the sun captured from Serramanna 18/06/2017. Picture has been realized with 6 different shots and immortalize the apparent passage of the ISS (located 350 km from the ground and thrown to 28,000 km / h) on the solar disk. The image was taken with Canon 6D + Skywatcher 130/650, Barlow 2.5x and Astrosolar filter. Moreover two groups of sunspots are present. 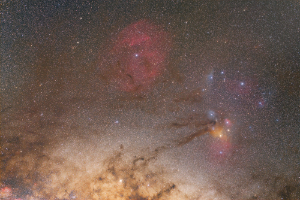 Here is an image of NGC 1999 with over 2600 minutes of exposure time using HA, L,R,G,B filters. 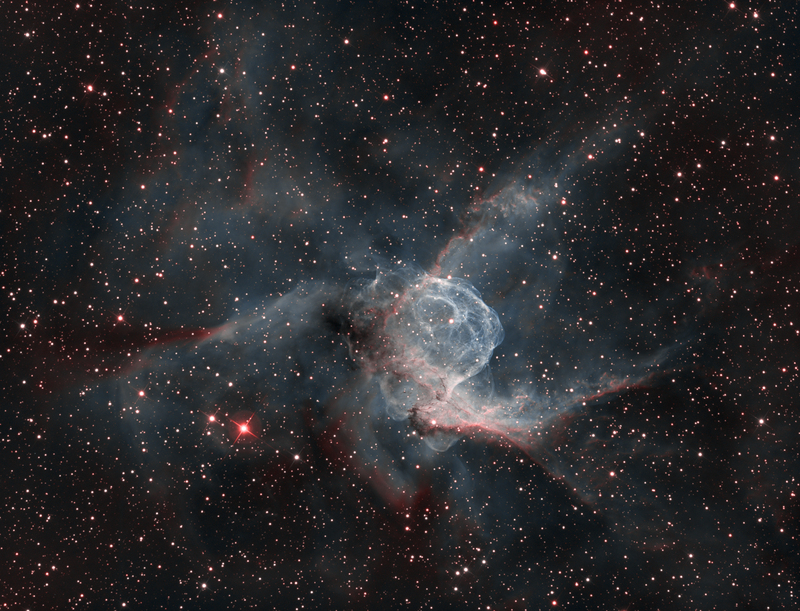 Taken with a 17" Planewave telescope. So many great Herbig-Haro objects in this image, its really fun to look around at the full resolution image of this one. Also you can see a few labeled versions here as well. I love the portrait of the blue comet meeting the blue sisters, Tom Masterson! 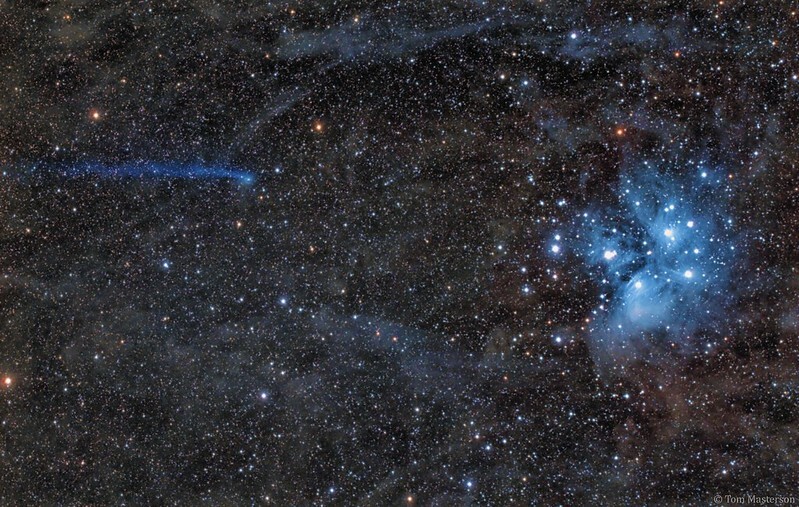 And that is a truly fantastic picture of NGC 1999 and a myriad of Herbig Haro objects, Mark Hanson! HaOIIIOIII image with 14h30 in Ha and 13h30 in OIII. Remote telescope 520mm F/D=3.8 in La Canelilla Chili. Last edited by bystander on Tue Feb 06, 2018 2:48 pm, edited 1 time in total. 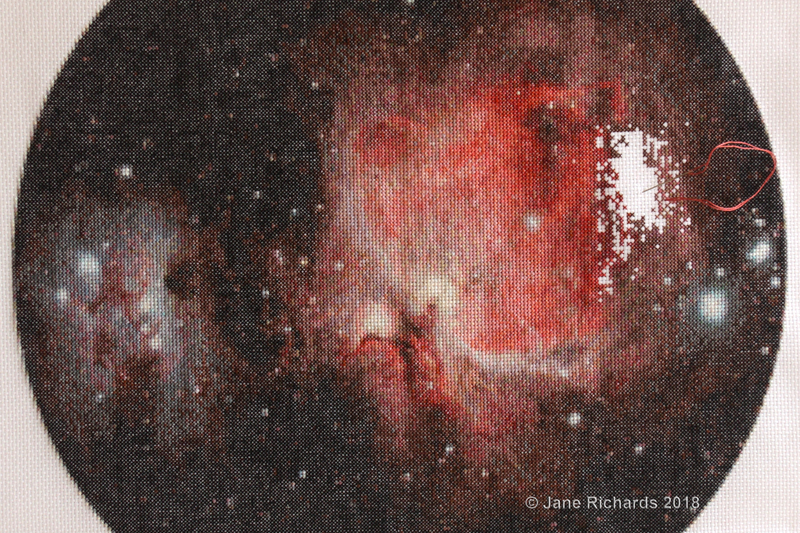 This unusual image was hand stitched by me over a period of 7 months, starting in June 2017 and is based on an image captured by Steve Richards using an SXVF-M25C and 100mm TS 100Q APO Refractor mounted on a Mesu 200 Mount. Steve captured 18 subframes of 300 secs. plus 11 subframes of 100 secs. to produce the original image which has a resolution of 3032 x 2016 pixels and a 16bit colour palette. Steve then produced a set of 12 A4 size counted cross-stitch patterns for me to work from. The hand-stitched version has a resolution of just 216 x 216 cross-stitches (18 cross-stitches to the inch) and a colour palette of 82 colours. The whole circular image comprises 36,644 cross-stitches making a total of 73,288 individual stitches! Last edited by bystander on Wed Feb 07, 2018 1:51 pm, edited 1 time in total. 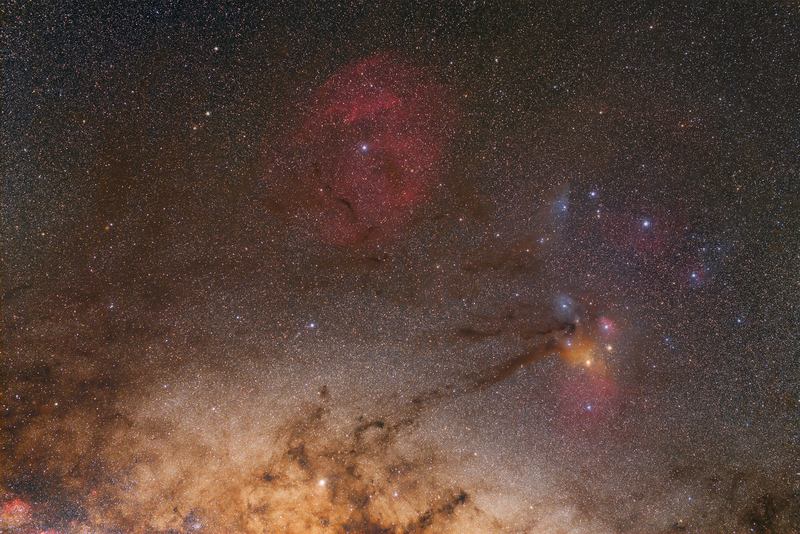 SH2-289 is one of the most distant HII regions of the Milky Way at almost 33,000 light years. 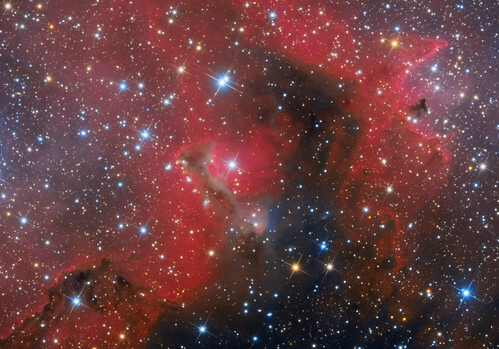 An unusually feature seen in the nebula could be what is called the Champagne Flow. They appear as spikes jetting out at the bottom of the nebula. A champagne flow is an astrophysical event whereby an HII region created inside a molecular cloud from ionization due to a recently formed star (usually an O-star) expands outward until it reaches the interstellar medium. At which point the ionized hydrogen gas bursts outward like an uncorked champagne bottle. This event is also sometimes called a Blister.